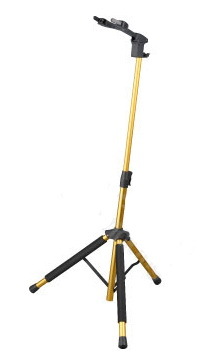 With leg fitting, leg brace, and tripod fixing structure for extra stability and safety. Whether it is a heavy guitar or a lightweight one, DG079 is a practical stand and offers an outstanding performance-to size ratio. ● EVA pad protect the guitar from scratching. ● Unique and innovative design of leg fitting, excellent quality plastic material but economical.